This is the original poem of Mulan. Mu-lan weaves, facing the door. You only hear Daughter's sighs. They ask Daughter who's on her mind. No one is on Daughter's mind. On every scroll there's Father's name. Mu-lan has no elder brother. And serve in the army in Father's place." In the North Market she buys a long whip. In the evening camps on the Yellow River's bank. She only hears the Yellow River's flowing water cry tsien tsien. In the evening she arrives at Black Mountain. She only hears Mount Yen's nomad horses cry tsiu tsiu. She crosses passes and mountains like flying. Chilly light shines on iron armor. Stout soldiers return after ten years. The Son of Heaven sits in the Splendid Hall. And prizes of a hundred thousand and more. The Khan asks her what she desires. "Mu-lan has no use for a minister's post. To take me back to my home." They go outside the wall to meet her, leaning on each other. She fixes her rouge, facing the door. He whets the knife, quick quick, for pig and sheep. Her comrades are all amazed and perplexed. They didn't know Mu-lan was a girl. The she-hare's eyes are muddled and fuddled. How can they tell if I am he or she?" From:The Flowering Plum and the Palace Lady: Interpretations of Chinese Poetry By Han H. Frankel, Yale University Press, 1976. Don't insult others when they may not have english as a first language. Be careful of what you say. Chinese does not conjugate and in chinese sentences do not have a time period so sometimes the translation is impossible. If you don't "insult" people on their grammar or anything else, first language or no, how will they know if they did something wrong? and if they don't know they did something wrong, I could they fix it? You could politely point out what their mistake was instead of mocking the whole general comment. This is beautiful. Mu-lan risked it all for her father. She is so inspirational, even if she didn't really exsist. Hua Milan did exist. As a matter of fact, one of my favorite quotes is by her: "That which you believe you can do you will strive to achieve". Where did you find that quote by Mulan Sasha? Fa/Hua Mulan is a very poetic name, thus many believe she doesn't exist. According to history, She was given the name Hua by Xu Wei of Ming Dynasty. She was later given the name Wei and Zhu. This means, if she exist, she had another name. However, Mulan is recorded as a citizen of Northern Wei, Thus, she did exist and if expedition allows it, factual records of her existence can be discovered along with further history of Northern Wei, Rouran and/or the Northern/Southern Dynasties Period. Obvious fact is obvious, but perhaps this page shouldn't be advertised as the original poem considering it isn't. It's one of various possible translations. It's a professional translation of the original Ballad, This is valid. No, Son of Heaven means the Emperor. Son is to a person as Mandate is to authority. The translation is correct. it is "Son of Heaven"
this is a link to a play that is inspired by the ballad. It is, by far, a closer depiction of the ballad than any other source. I take it back, the play mostly depicts the Ballad except for the romance and extra drama. They don't know she is a female until the end but the drama does contribute to the story in a positive way. Mu doesn't necessarily have to be masculine and Lan doesn't always indicate femininity. That's the most confusing thing about Chinese (and all languages, I suppose), it's all up to feelings and interpretation and cultural background. For example Lan (蘭) means orchid in Chinese, and it is a flower that followers of Confucianism consider to embody the virtue of "a true gentleman" (君子), as it grows in hidden vales (humility) and is fragrant (a sign of noble character, since it smells so nice—I know, it doesn't make sense to me in English either but trust me this sounds perfectly legit in Chinese). So you see, Lan is, in the traditional mindset of ancient Chinese people, very much masculine. As for Mu, this is indeed more masculine, but in a Jin Yong novel (popular martial arts author), the character Mu Wan Qin (木婉清) is a woman. This is not the best example, as Mu is the surname, but let's say if a person's called Li Mu (麗木) then it's almost always a feminine name, as Li indicates femininity clearly and Mu can be ambiguous. The point is, masculinity and femininity is decided in Chinese as a combined factor of all characters, and just to confuse you even more (yes I'm evil like that), in modern Chinese society some consider neutral (unisex) names to be superior, while the odd ducks name their daughters with obviously masculine names and vice versa just to avoid bad luck/bring good fortune. For the name Mu Lan I'd say it's gender neutral leaning towards the feminine side, but that can also be me with the knowledge of Mulan as the one and only female general/heroine clouding my judgement. Always happy to meet people interested in learning Chinese! Did you know that Mulan is actually a true story? answer as many as possible. 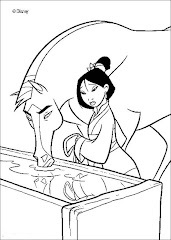 What Does Mulan's Name Mean?